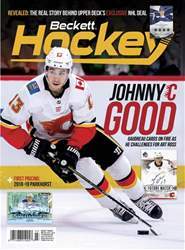 Digital Subscriptions > Beckett Hockey > March 2019 > SOLD! 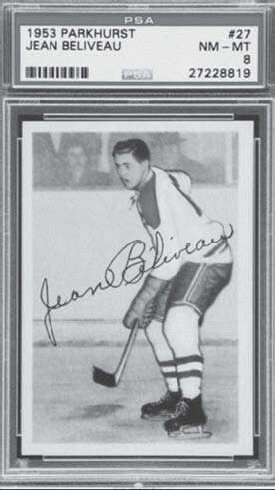 Graded rookies of Le Gros Bill have been hot sellers of late. At least three unique PSA 8 copies traded hands in January, with this copy drawing the highest bid. It’s an exceptionally nice example, with excellent registration and stunning colors. With only one copy graded higher (a PSA 9), this is an excellent acquisition as an investment or as the centerpiece of a classic Canadiens collection.